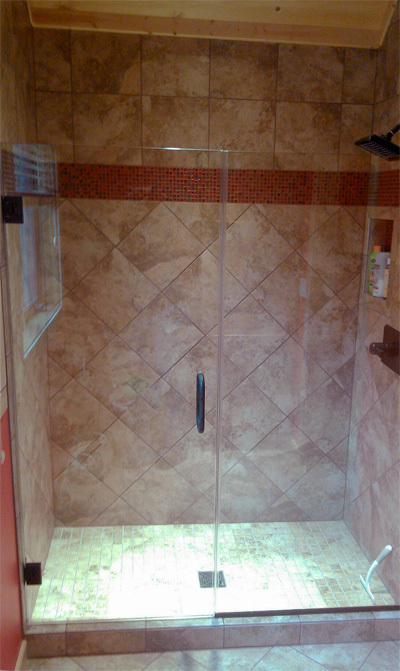 Waunakee WI: For this white subway-tiled shower we installed 3/8” clear splash panel. 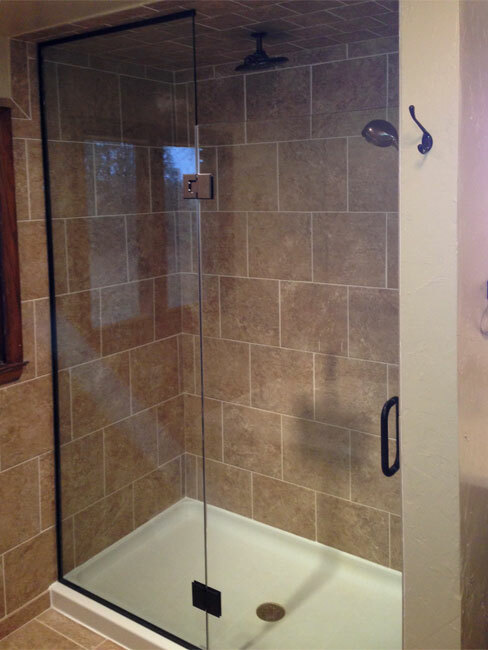 Oregon, WI: This custom neo angle shower enclosure has 3/8” clear glass and brushed nickel hardware. 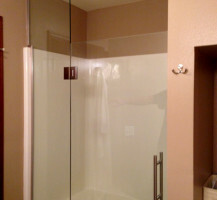 Oregon WI: Custom angle shower in eaved ceiling has 3/8” heavy glass and black finish hardware. 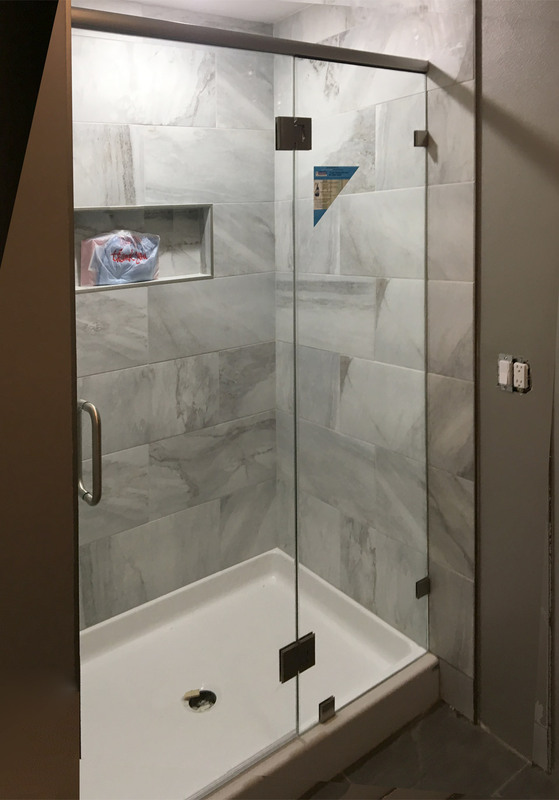 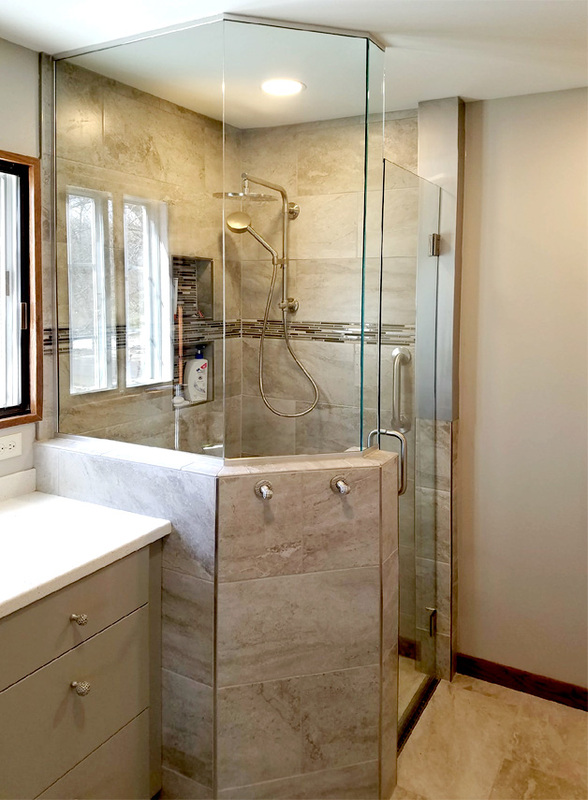 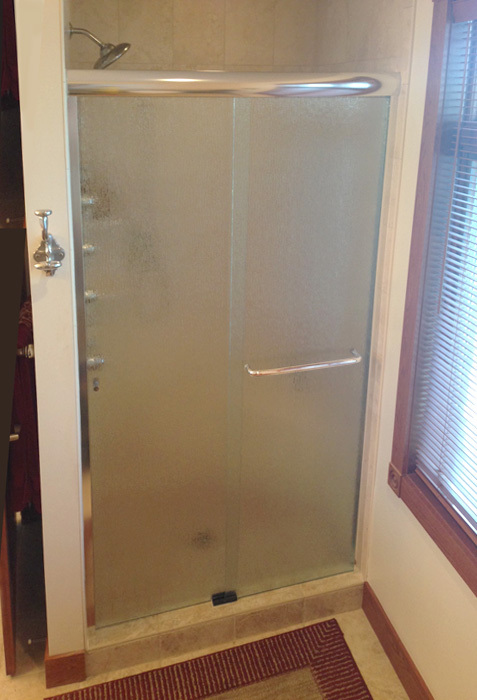 Madison WI: Custom steam shower has heavy glass and satin nickel hardware. 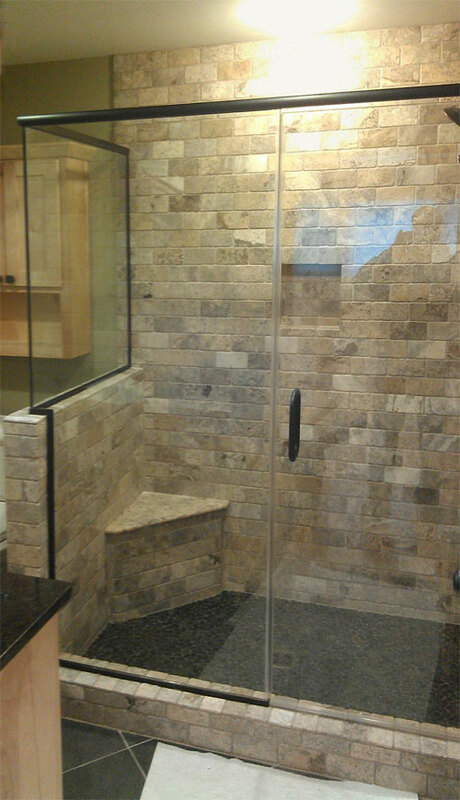 Verona WI: Frosted heavy glass shower enclosure with oil-rubbed bronze finish hardware custom fit. 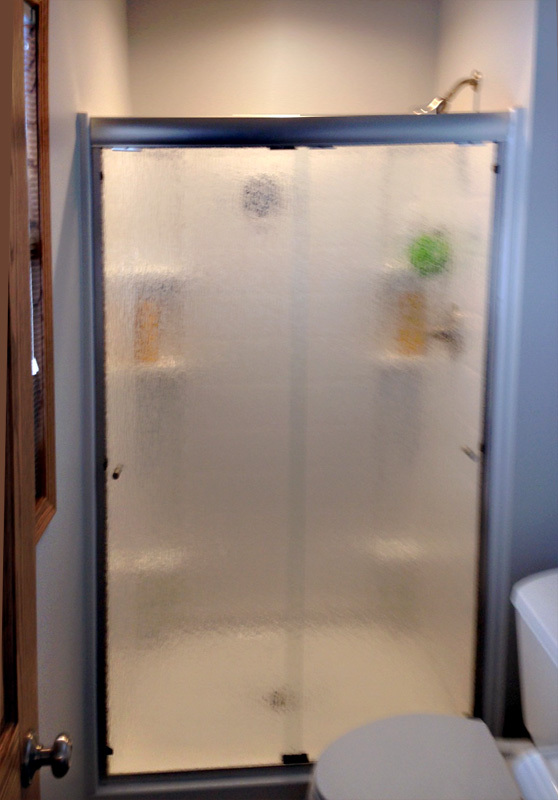 Verona WI: Frosted 1/4” glass swing door. 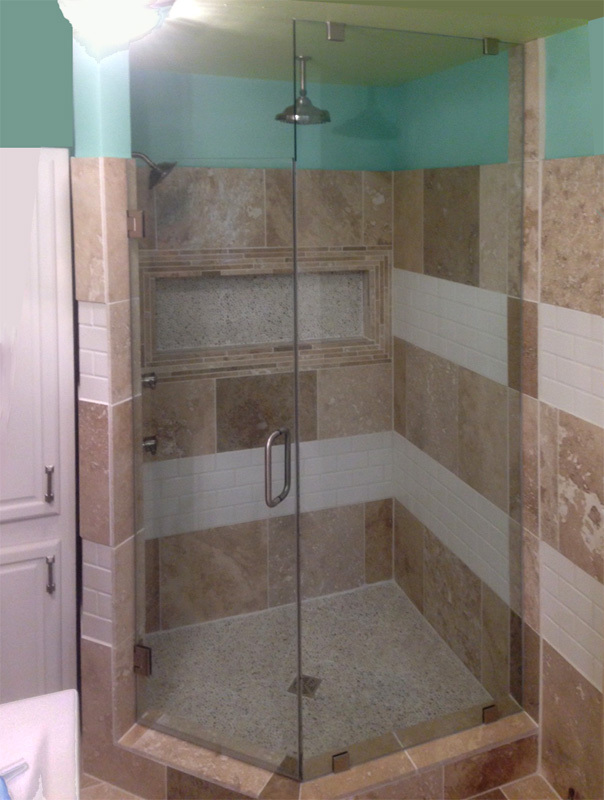 This is a cost effective shower solution for a kid’s bathroom. 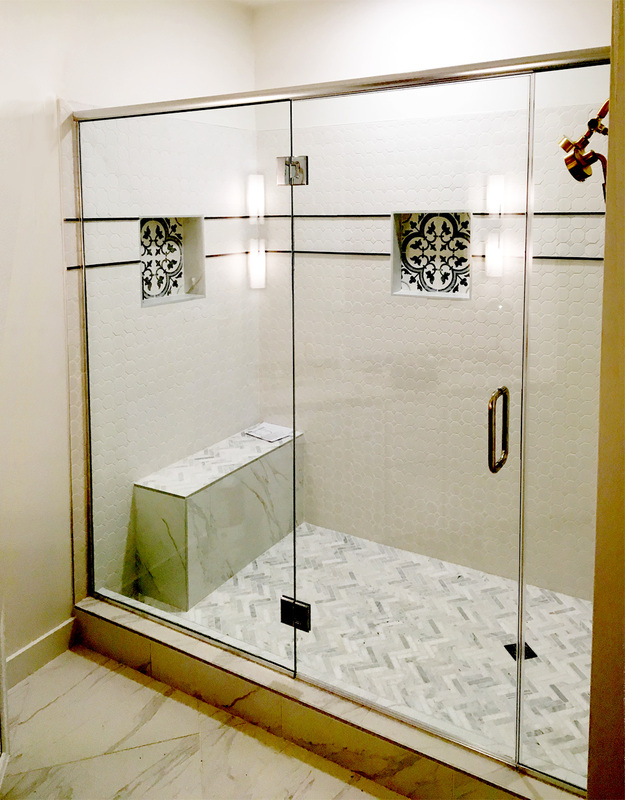 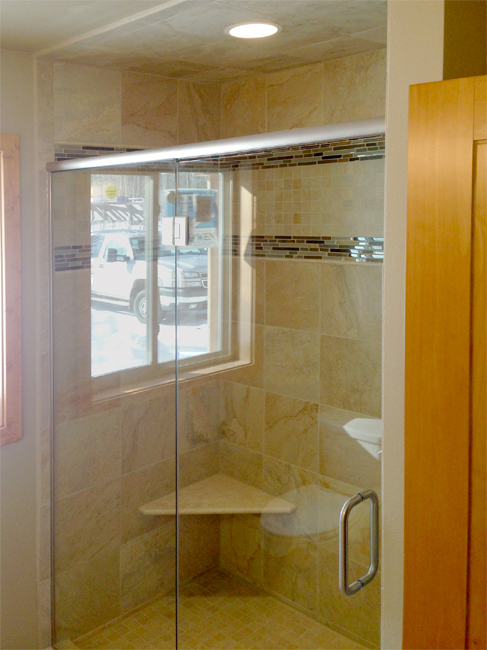 Madison: Custom 3/8" glass shower enclosure designed with no header or channel. 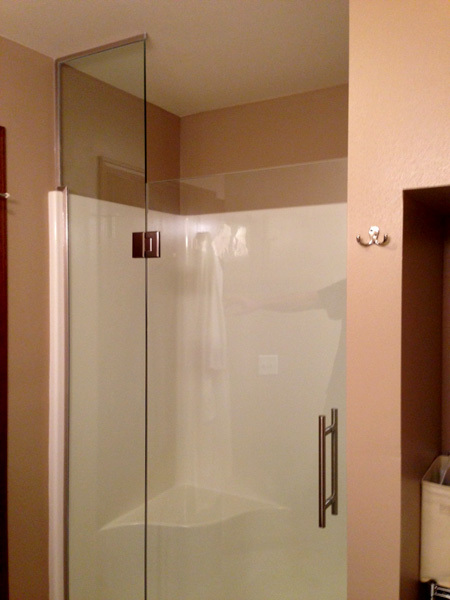 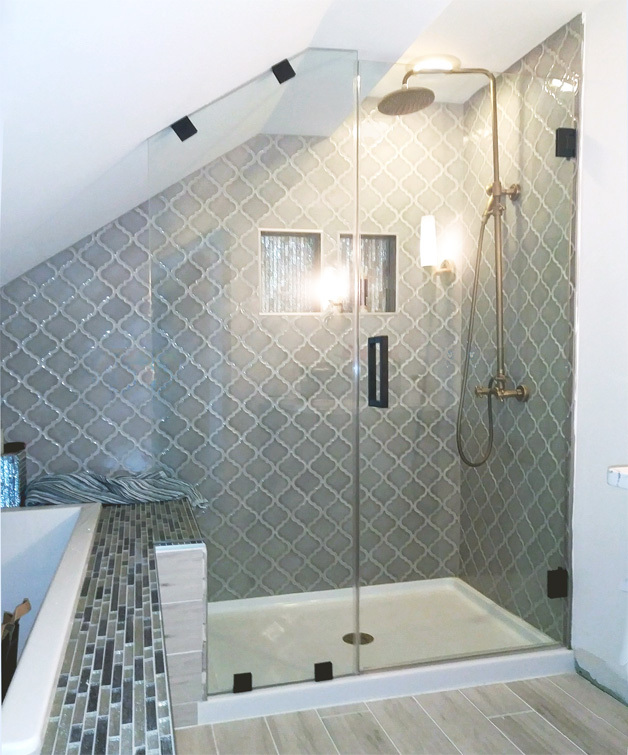 Oregon, WI: Custom height glass for walk-in shower has 3/8″ heavy glass and handsome detail. 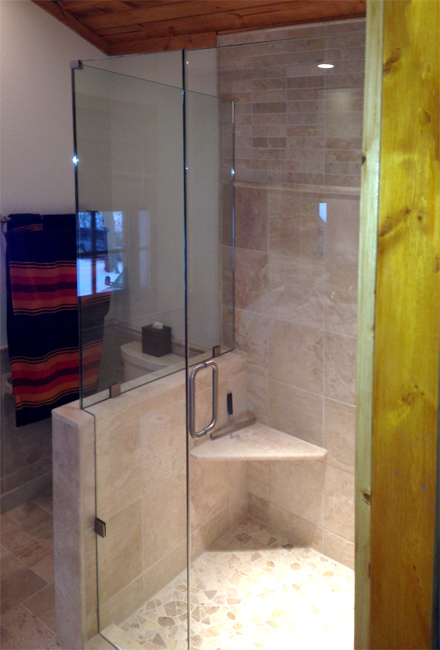 Stoughton WI: Custom heavy glass enclosure installation. 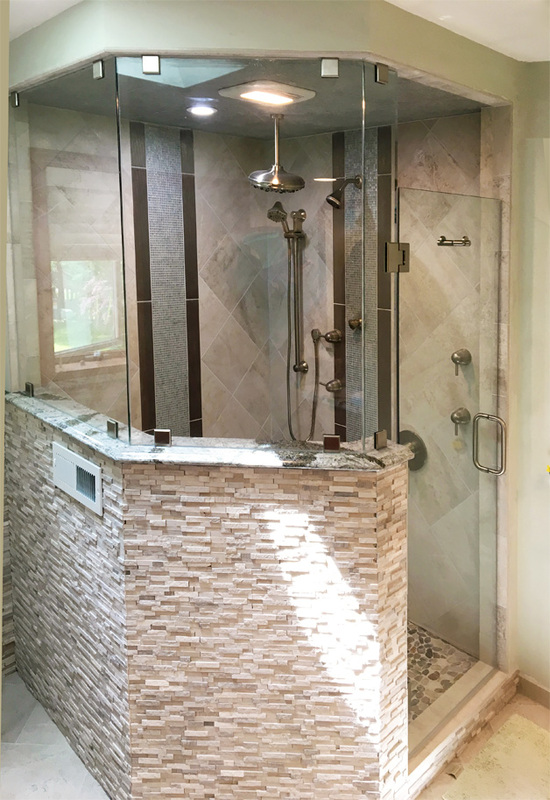 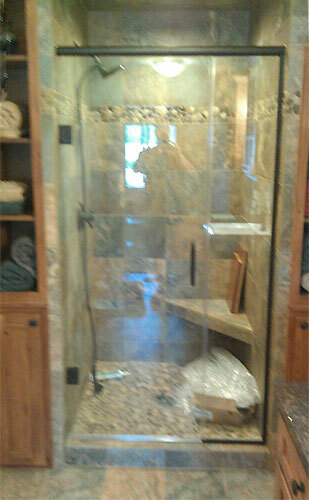 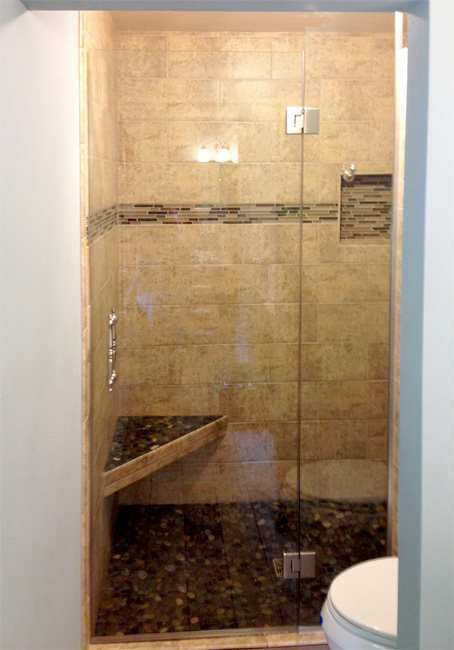 Oregon, WI: New custom heavy glass steam shower with a teeter totter transom. 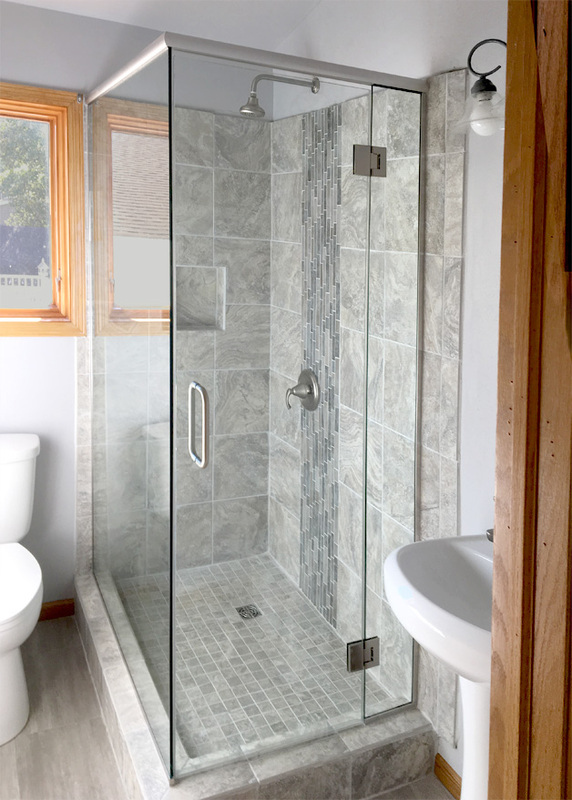 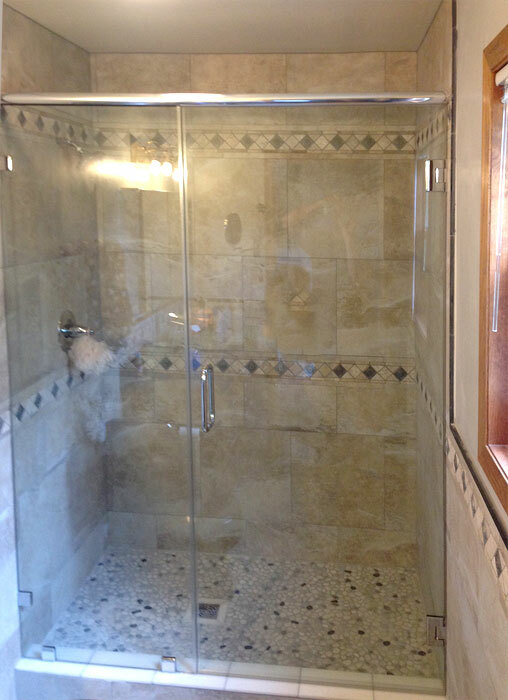 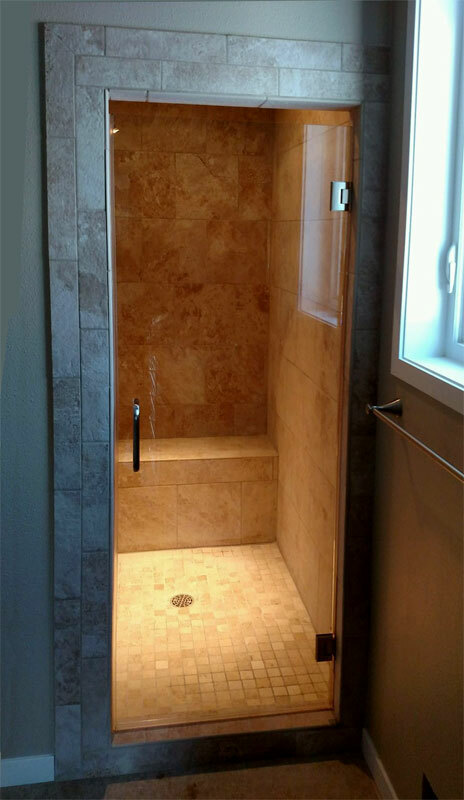 McFarland, WI: Economy shower has semi-frameless door with inline panel. 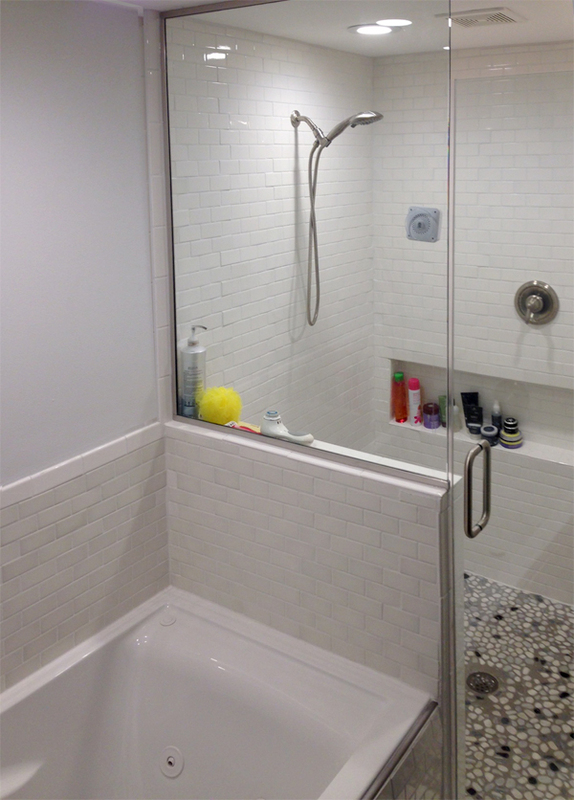 1/4″ clear tempered glass and chrome finish. 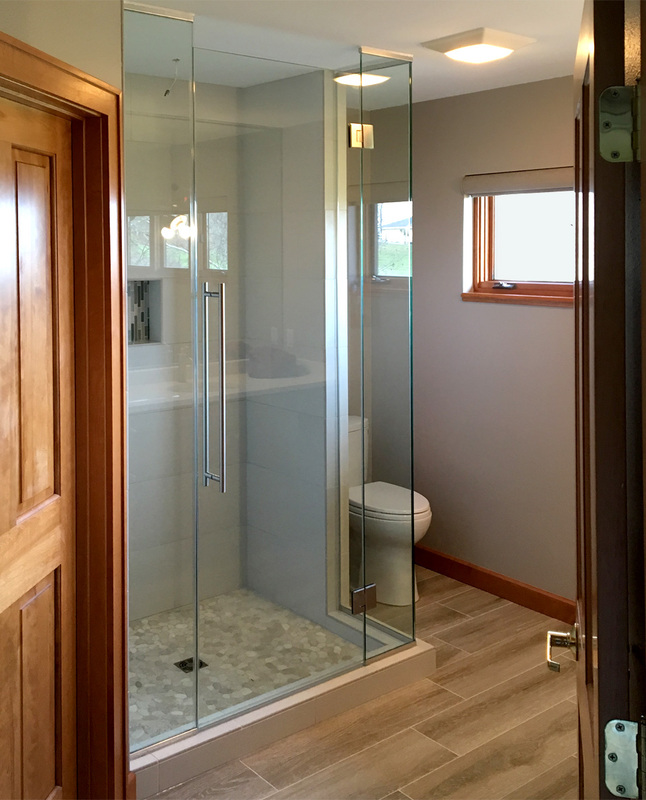 Oregon WI: Custom shower enclosure with 96″ tall door and ladder pull handle. 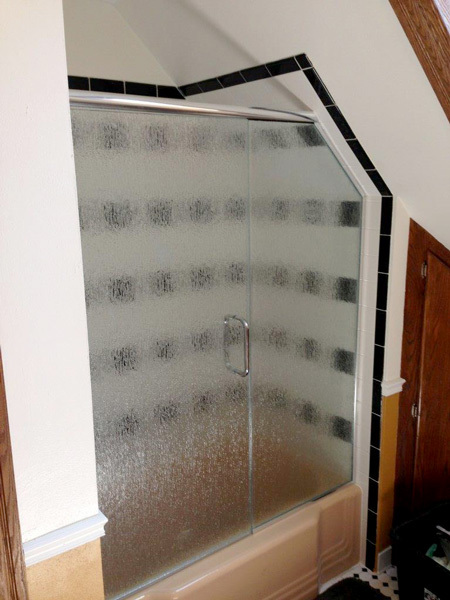 Wet-glazed corner for the all-glass look. 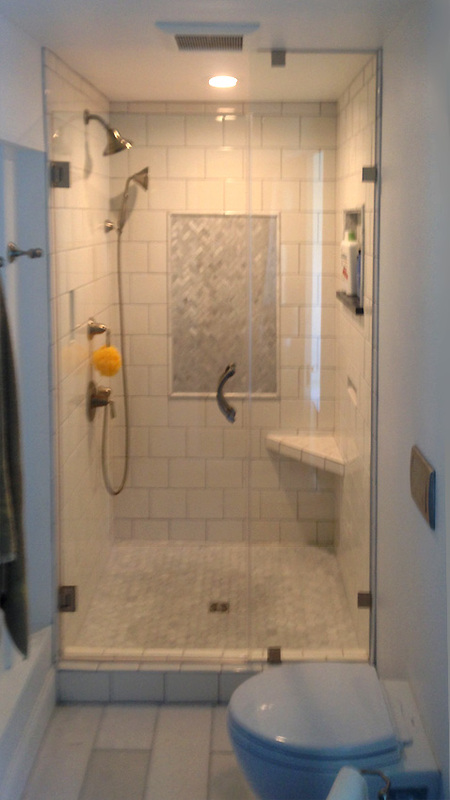 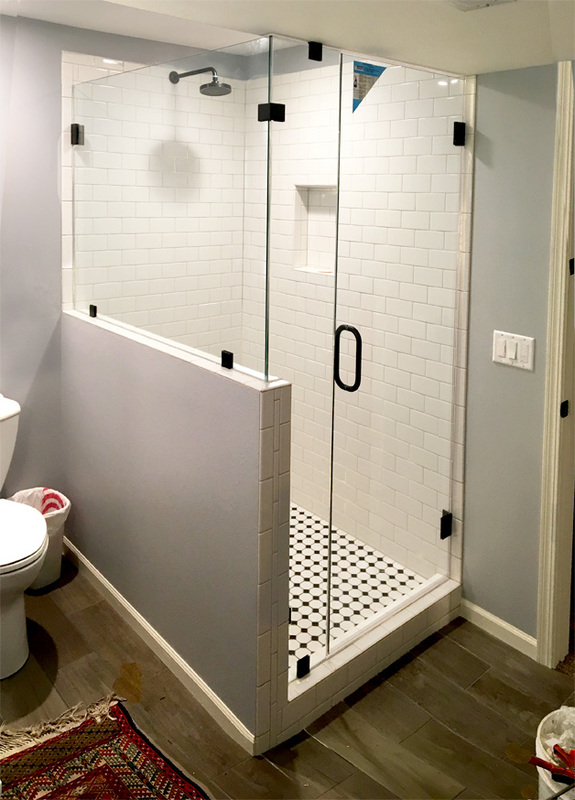 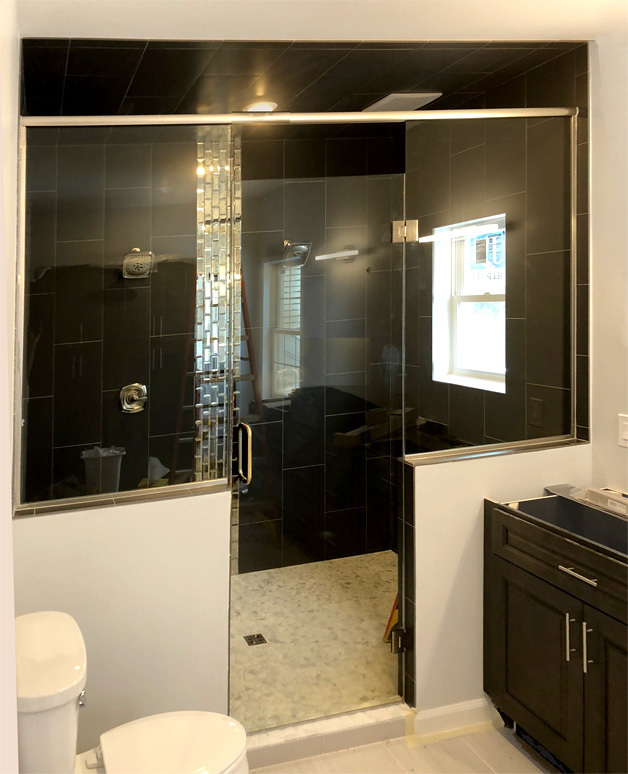 Madison, WI: Heavy glass shower door with custom clip system. 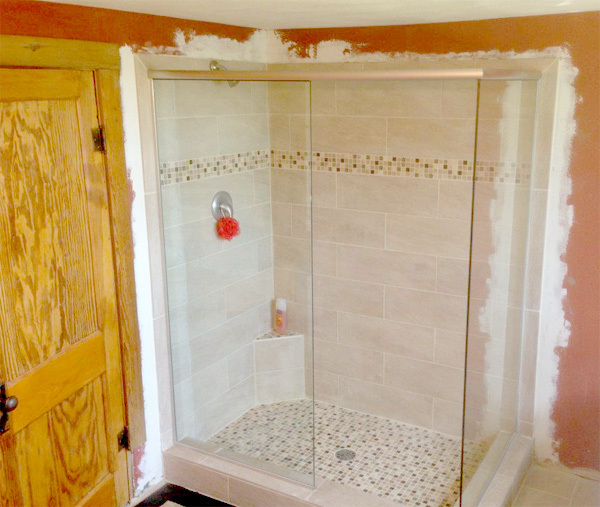 New Glarus, WI: Clear 3/8″ heavy glass into a custom glass tile opening. 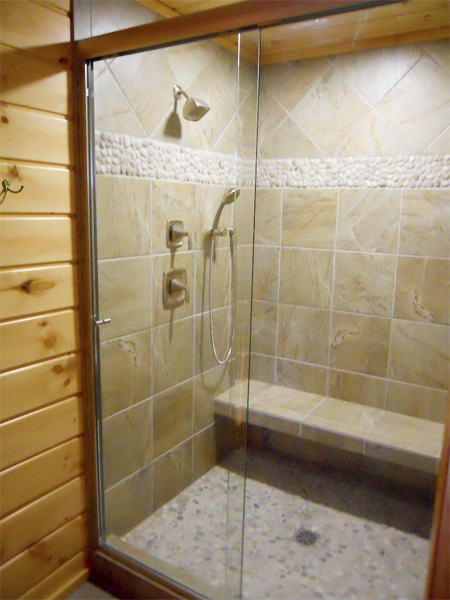 McFarland WI: Shower slider for fiberglass shower insert. 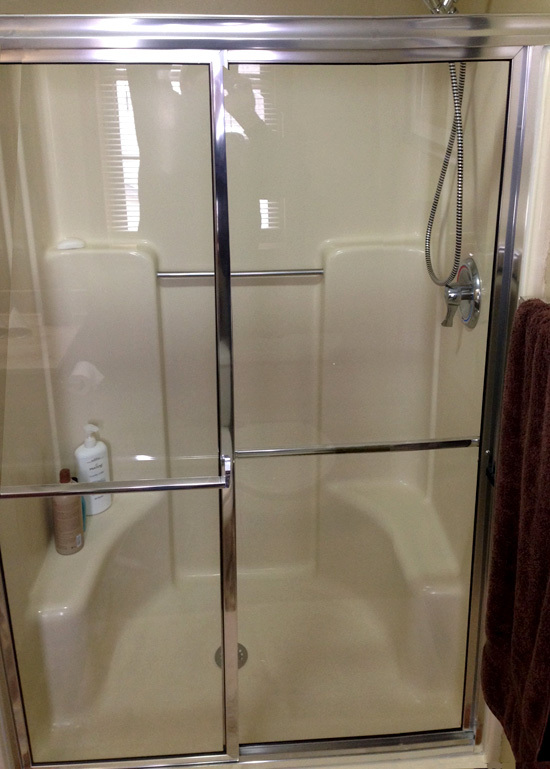 Some economy showers are as low as $485. 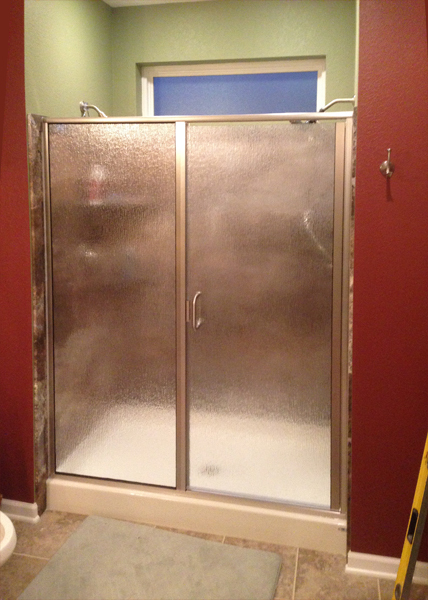 Installed. 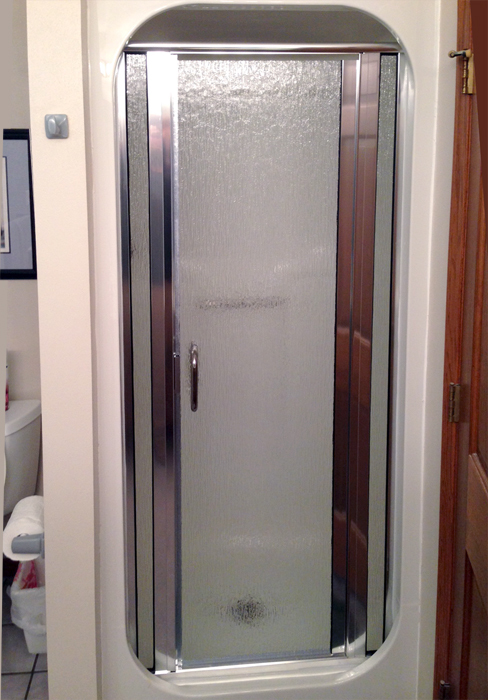 Monona, WI: 3/8" clear glass shower with brushed nickel finish and Showerguard water repellent. 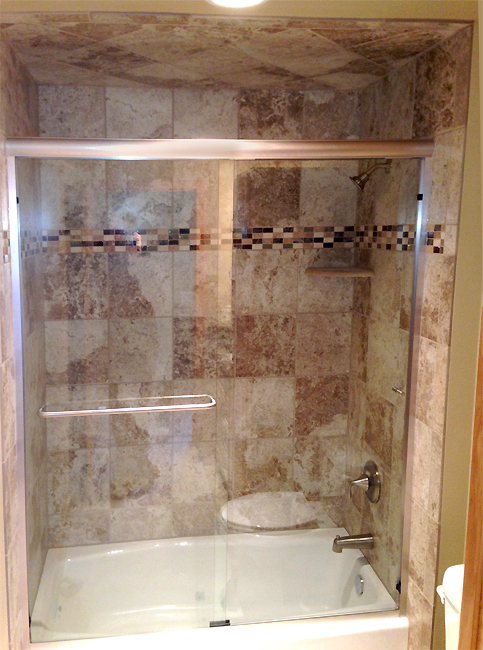 Oregon, WI: 1/4″ rain pattern brushed nickel finish. 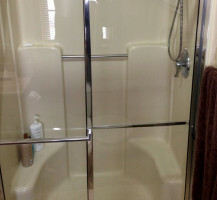 Economy slider. 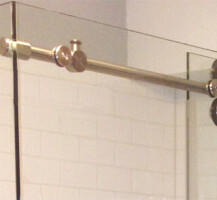 Knobs in lieu of towel bars. 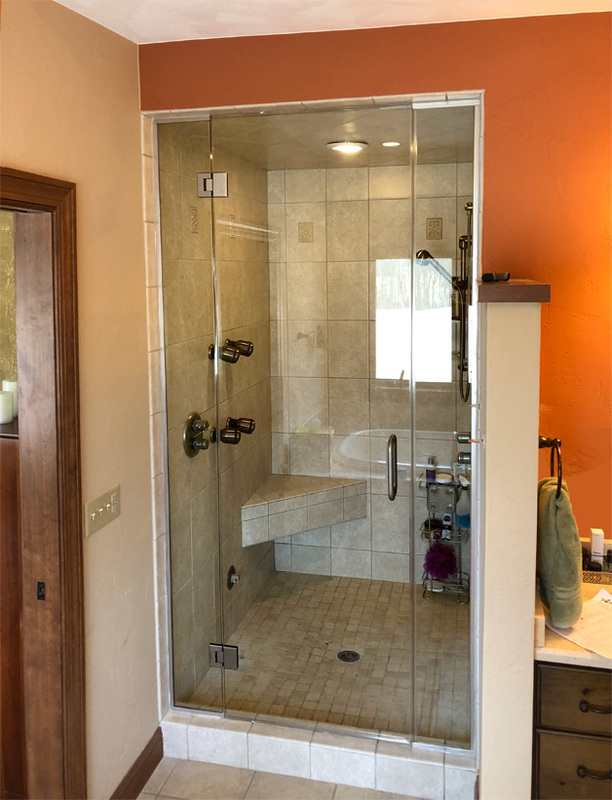 Middleton, WI: Custom return heavy glass shower. 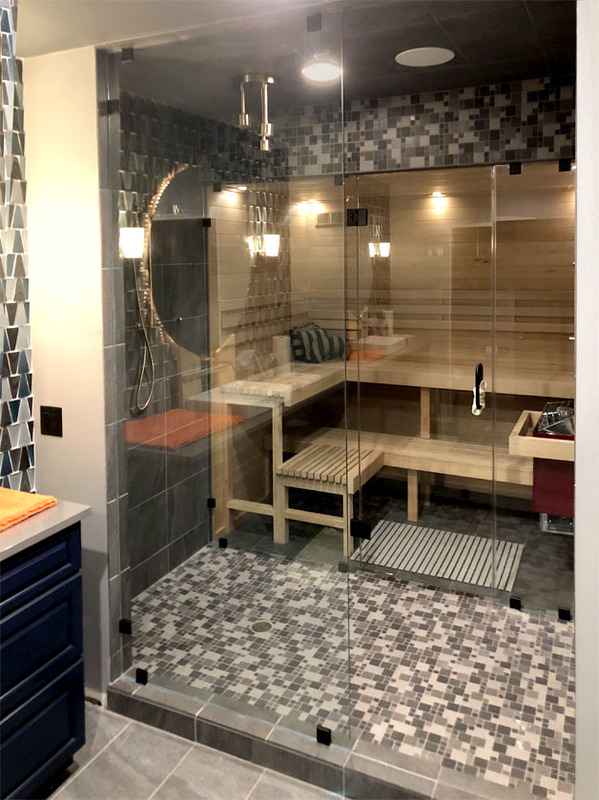 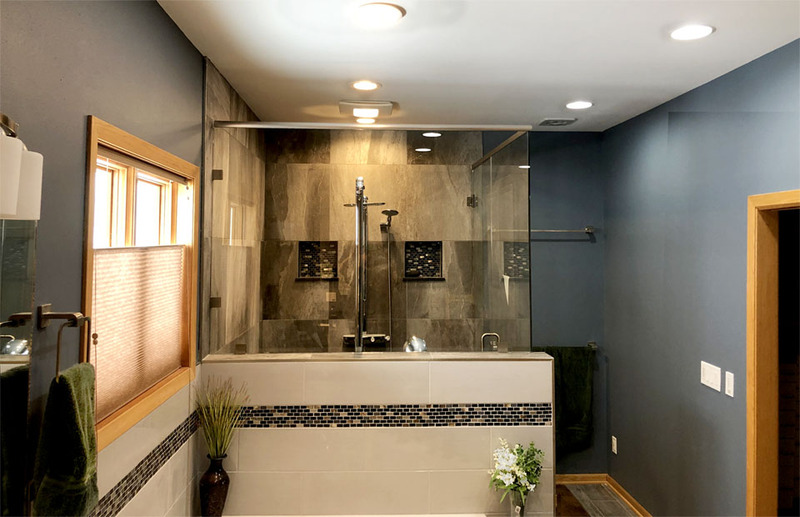 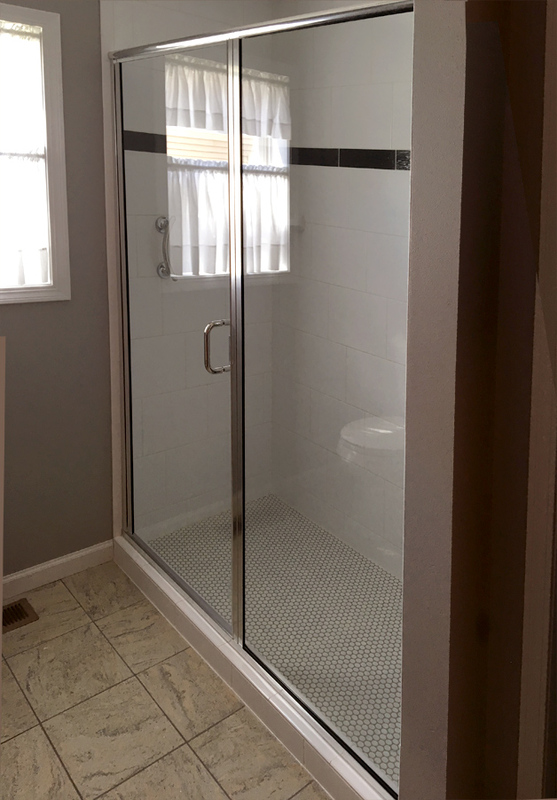 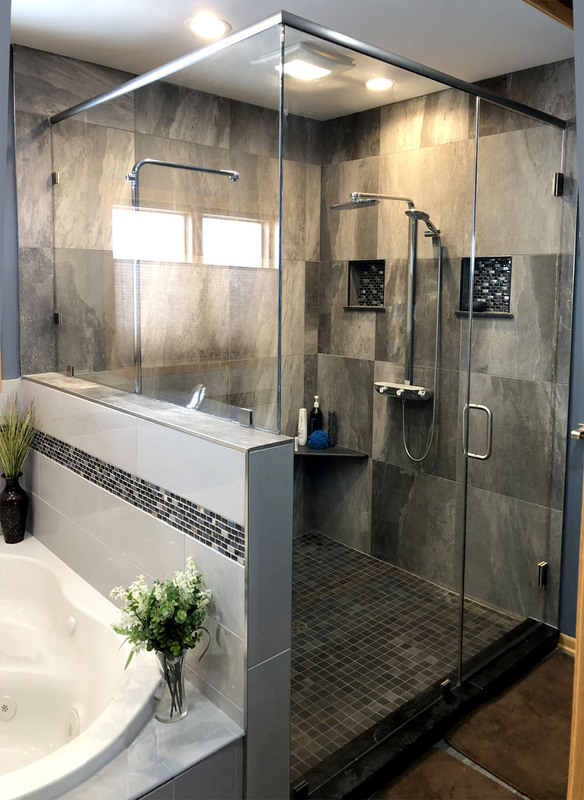 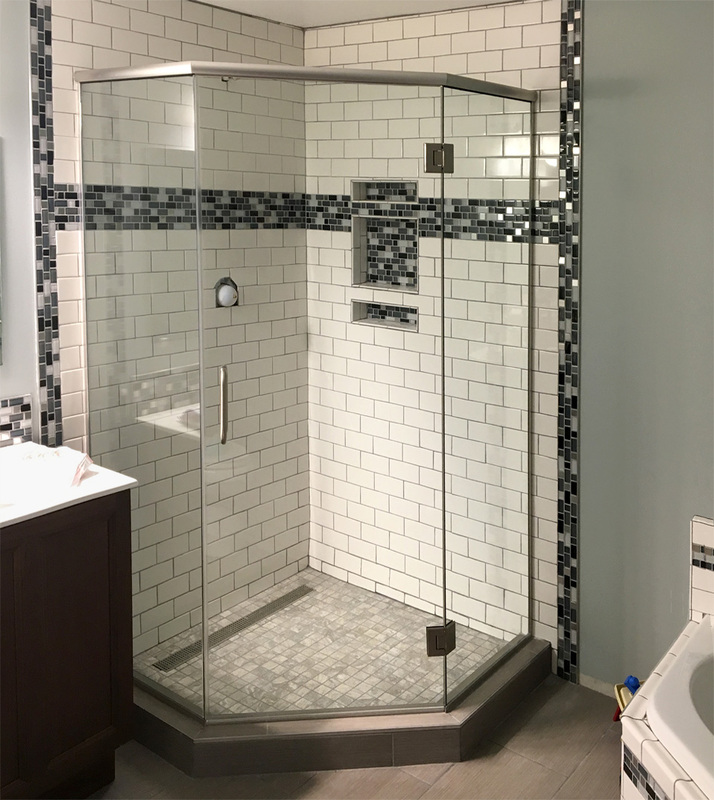 McFarland, WI: Small space – small shower – BIG IMPACT! 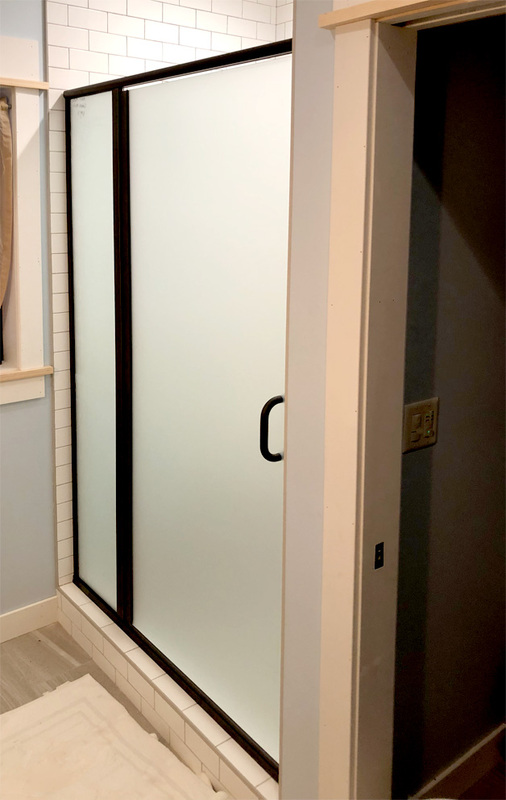 Custom shower door. 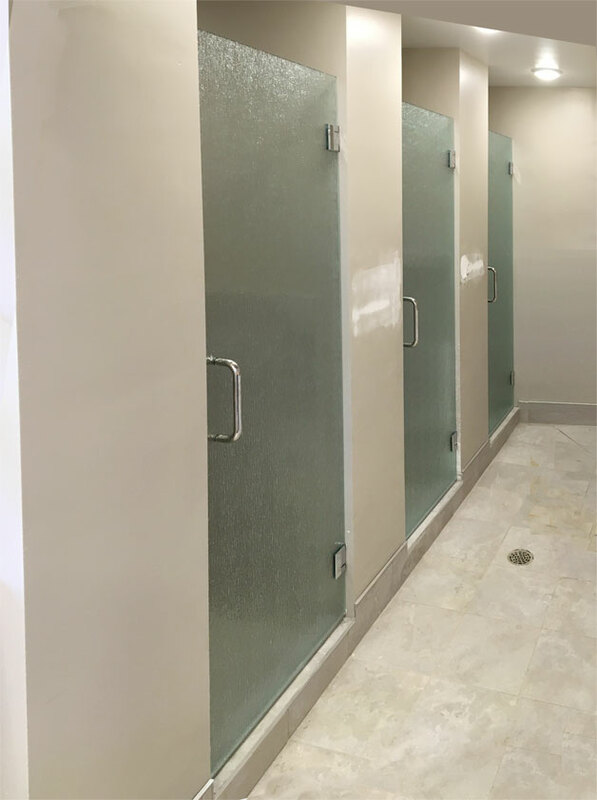 1/4″ rain pattern glass with chrome finish. 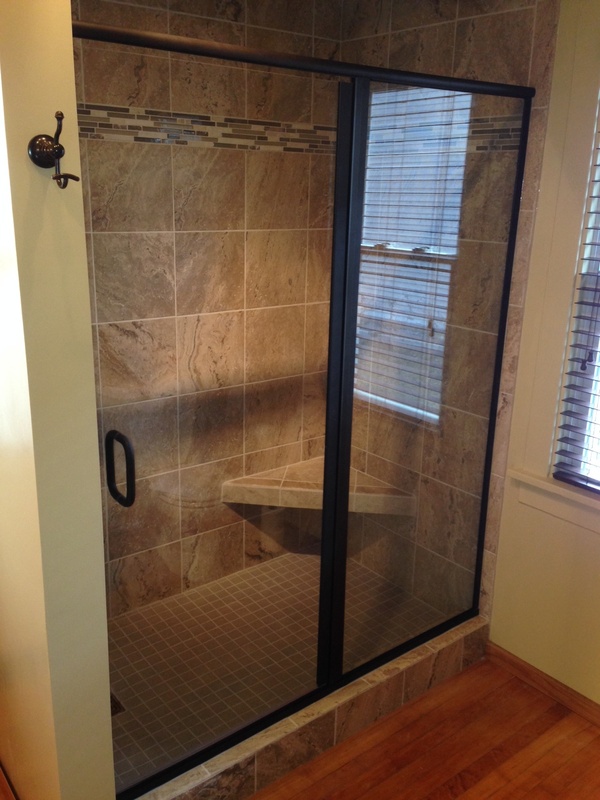 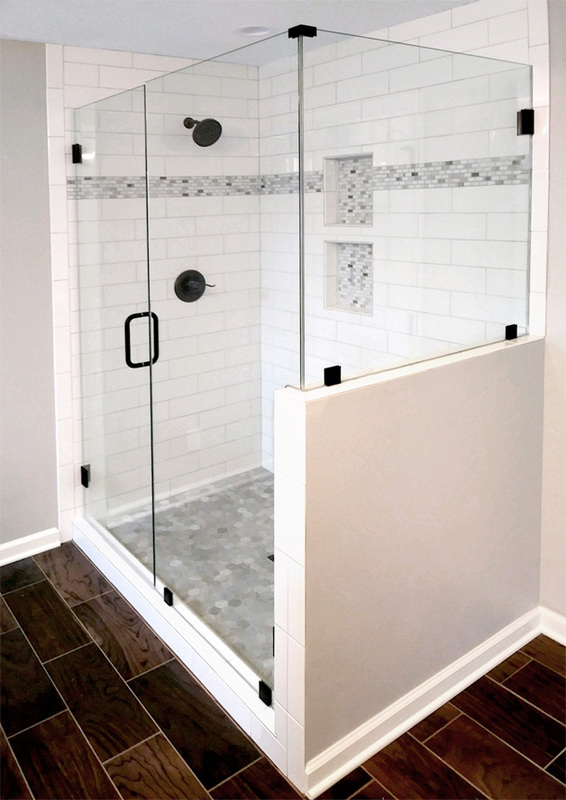 Cottage Grove, WI: 3/8″ heavy glass shower with clips (no u-channel) & Showerguard glass treatment. 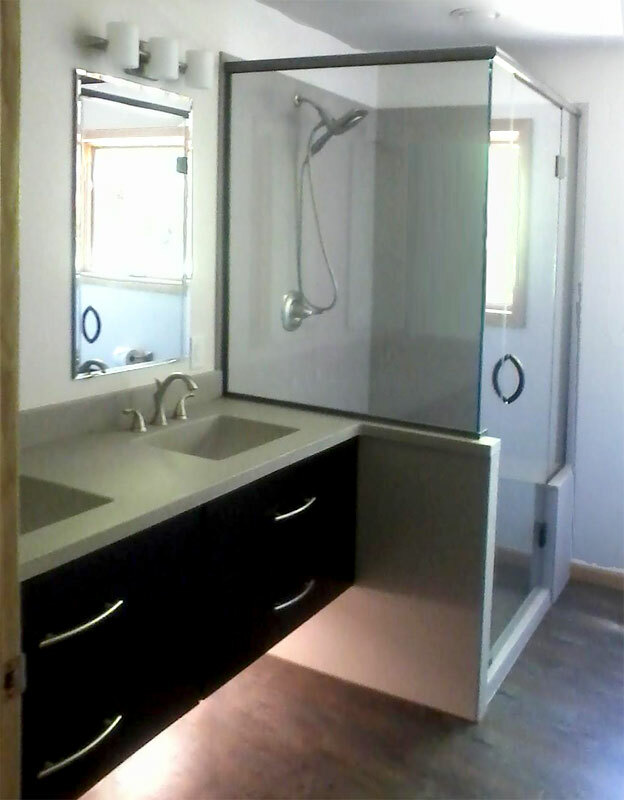 Sun Prairie, WI: Custom 3/8″ w/ special “pewter” metal finish. 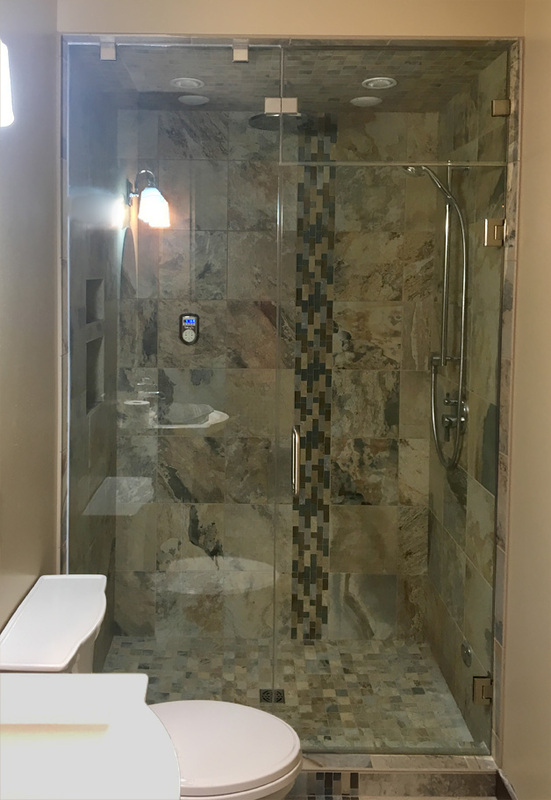 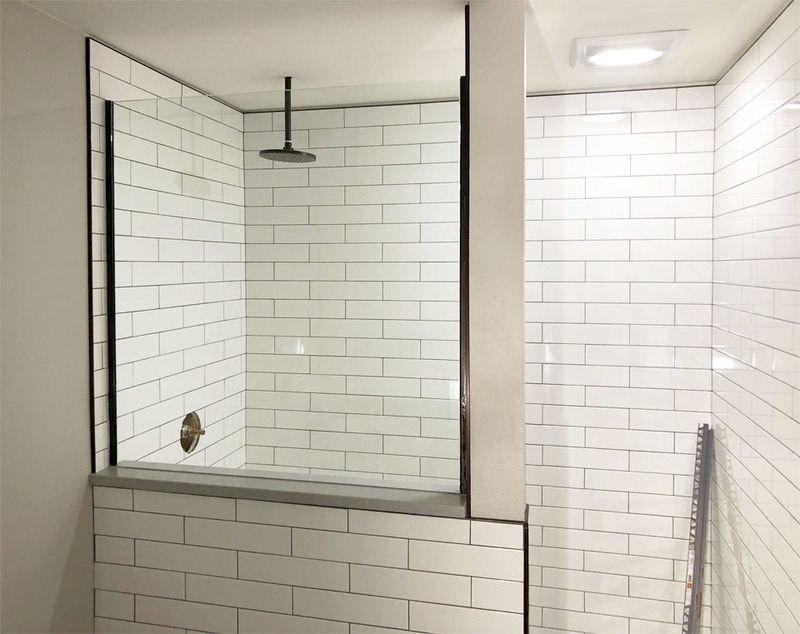 Oregon, WI: New 1/4″ custom shower. 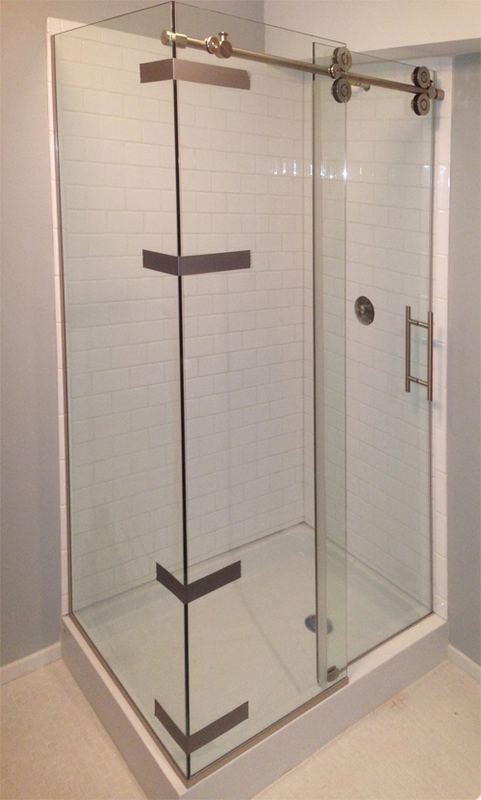 Madison, WI: Custom pipeline slider for heavy glass shower door. 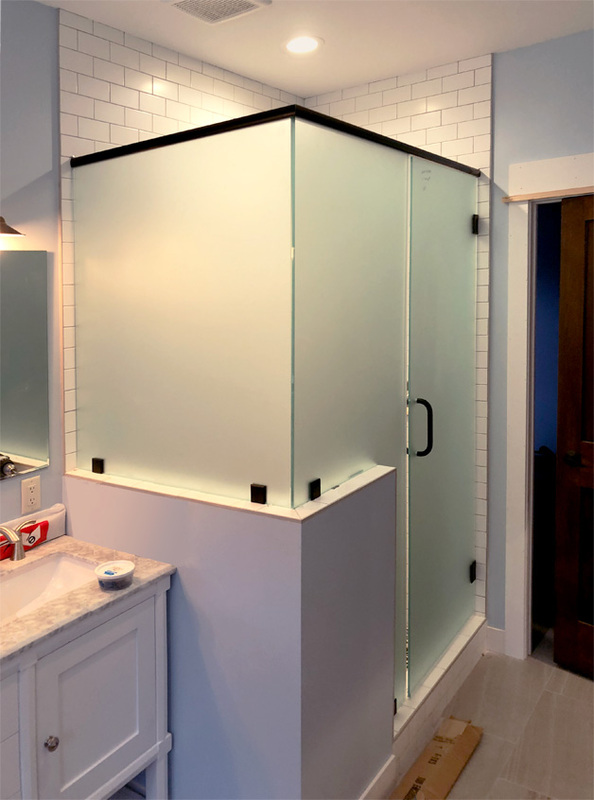 Madison WI: Custom 1/2″ glass enclosure. 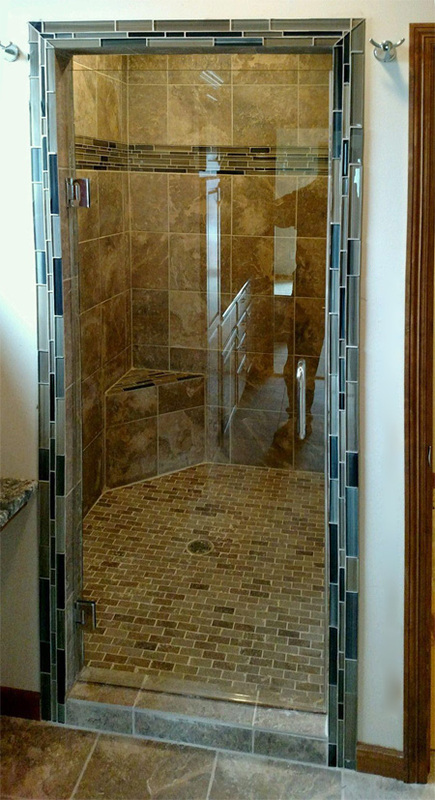 Oregon, WI: Heavy glass custom shower doors.